Net Entertainment has been at the forefront or being one of the best providers for online casino games. 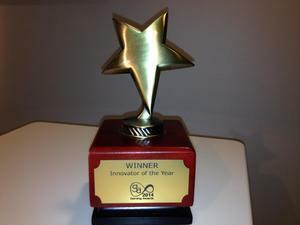 They have won many awards and they just keep piling up, as they recently won the prestigious Innovator of the Year award at the International Gaming Awards. Net Entertainment was already known for their game innovations and this recent award just point to that fact. Aliens is the first ever online casino game from Net Entertainment that has real life 3D graphics and this great game was launched at ICE 2014. This showed even more so that the leading online gaming company is not only totally committed to innovative games, but giving their customers the very best games available. About the award President and CEO of Net Entertainment Per Eriksson stated, "Innovation is a vital part of Net Entertainment's DNA and it's a huge achievement to be recognized for our hard work at the International Gaming Awards. Net Entertainment's mission is to continue to drive the online casino market through better games and this prestigious prize reflects our position at the forefront of the industry." Another key component for Net Entertainment winning the award was their unique Live Casino project. The crisp and clear HD streaming, individual branding opportunities, and totally innovative Blackjack Common Draw are only a few of the unique features that have vaulted Net Entertainment to being one of the leaders in the ultra-competitive online casino gaming provider industry. Net Entertainment always keeps gamers in mind with their creations and they let development teams take advantage of real time gaming to give the players the best online gaming experience possible.